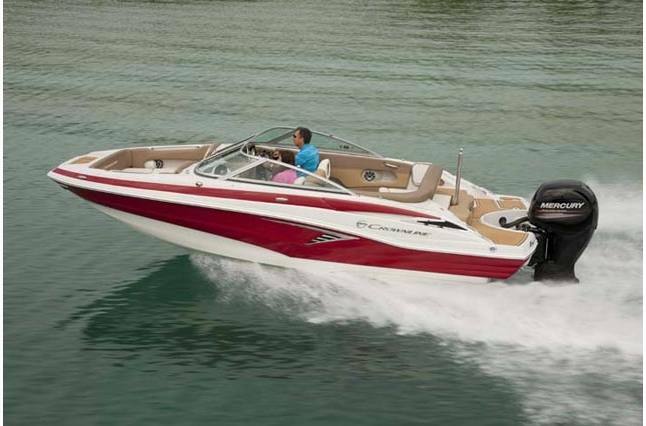 Packed with amenities and designed to maximize space and comfort, the Crownline E 215 XS (previously E21xs) is built for fun and excitement. 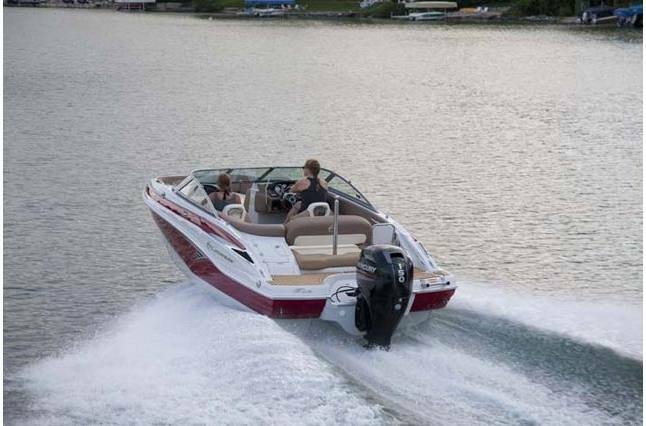 This addition to Crownline's Eclipse series is like a sports car on the water that will provide you and your friends with fun-filled days spent waterskiing and wakeboarding. 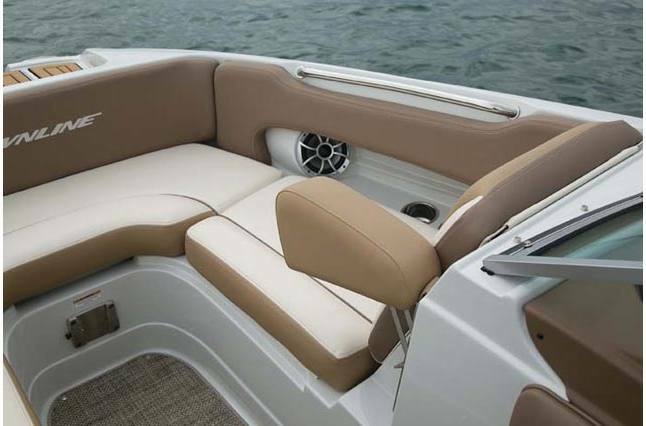 The E 215 XS has both front and rear swim platforms with Soft Touch mats. 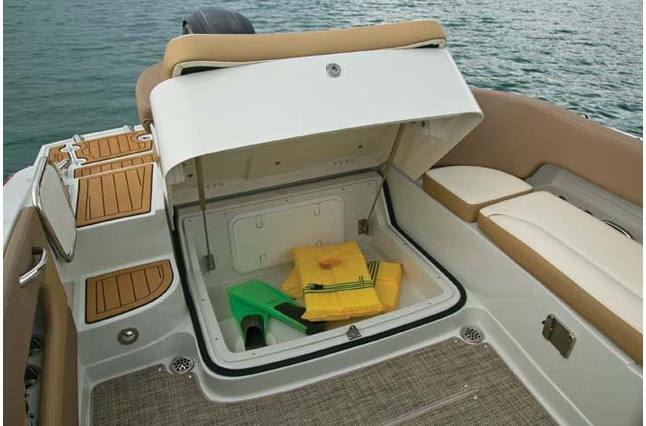 There's an aft rope locker and in-floor lockable ski and kneeboard storage with a hinged lid, providing plenty of room to store your watersports gear. 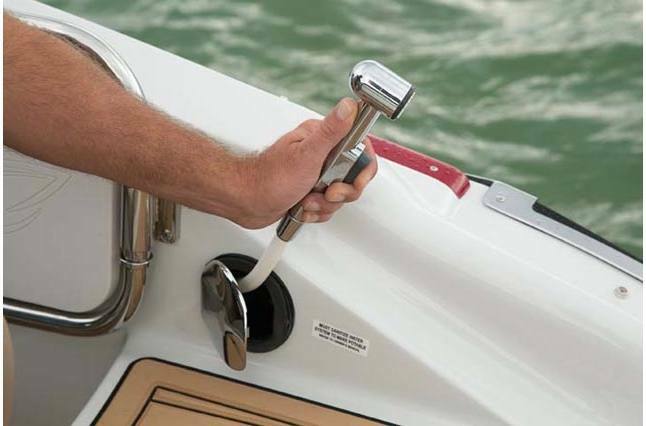 There's a handheld freshwater transom shower for when you want to rinse off. 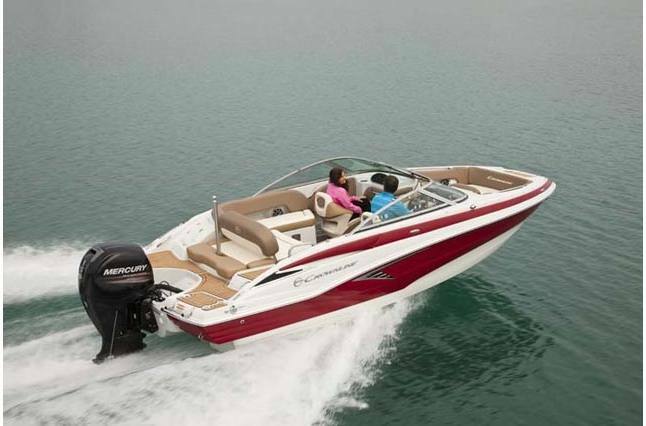 And, since music makes everything better, this fun sport boat features an iPod and iPhone-ready Kicker stereo with six speakers.The layout of the E 215 XS is thoughtfully designed for convenience and comfort. 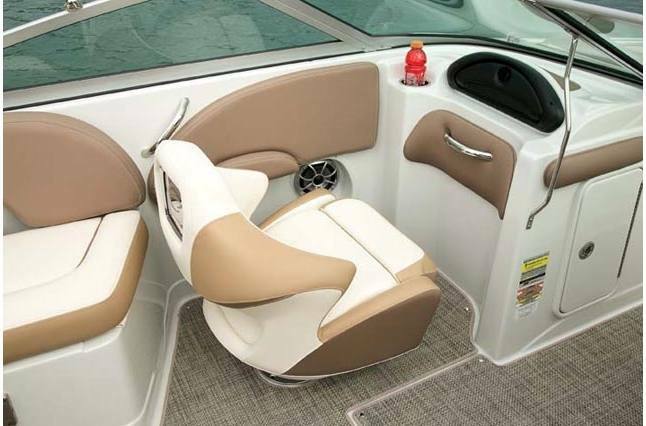 It has a walk-through transom, spacious J-shape cockpit seating and shock-absorbing driver and passenger bucket seats with flip-up bolsters. A side-mounted table makes entertaining easy, while the convertible sun lounge with three positions makes a relaxing oasis for sun worshippers. 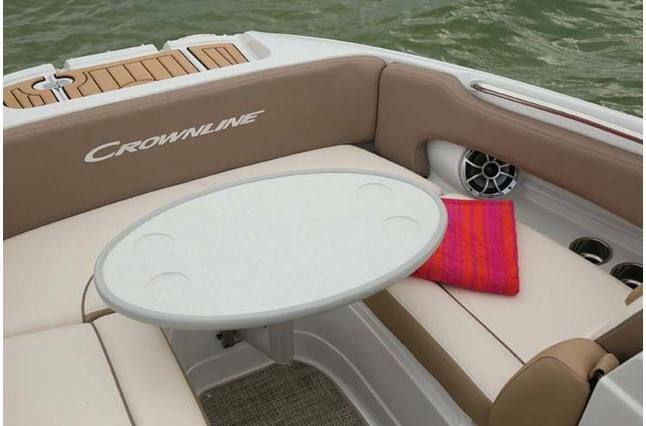 Crownline's special FAST Tab Hull Design gives the E 215 XS exceptional control and handling, while the vented chine hull with reversed chines keeps spray down and improves stability and turning. 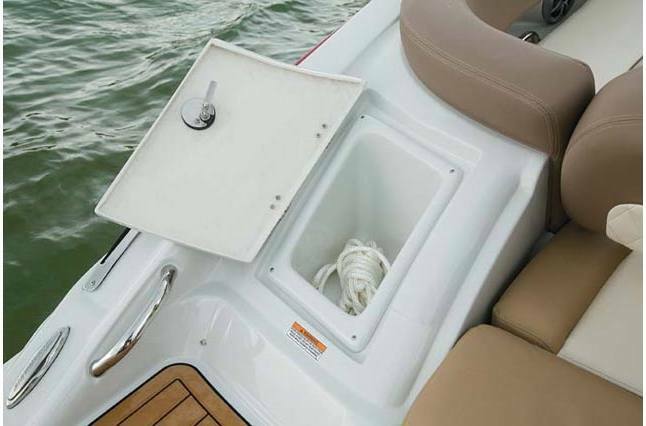 And this sporty boat has plenty of storage thanks to under mount cockpit storage drawers and impact-resistant storage areas. This Nationally Advertised Priced (NAP) model includes a tandem axle galvanized EZ Loader trailer that includes swing tongue, LED Lights, a Fulton jack and winch, with brakes on both axles!